Personal injury cases can be complicated, but an experienced, knowledgeable attorney can recognize the nuances involved in each person’s situation and present the facts persuasively in settlement negotiations or at trial. The New Hampshire injury lawyers at Normandin, Cheney & O'Neil offer compassionate representation and aggressive advocacy in helping victims assert their rights. Based in Laconia, we can assist people throughout Belknap, Grafton, Carroll, and Merrimack Counties who need a car accident attorney or representation in any other personal injury claim. All too often, devastating harm can result from a moment of carelessness or inattention. When this happens, and someone else is hurt, the victim typically has the right to bring a negligence claim against any party that was responsible. To succeed in a negligence claim, a plaintiff must prove that the defendant owed a duty of care, the defendant failed to conform to that duty, the defendant’s actions caused an accident, and the plaintiff incurred damages. In most situations, the duty consists of exercising reasonable care to avoid foreseeable harm to other people. However, depending on the relationship of the parties and other facts involved in the case, the appropriate standard may be more specific. In premises liability cases, for example, property owners are expected to inspect their premises for hazards and either fix them or warn customers and guests about the associated risks. If a defendant’s conduct does not conform to the applicable standard of care, the defendant will be found to have breached his or her duty to the plaintiff. Next, the element of causation may be established through evidence that the defendant’s unreasonable conduct actually and proximately caused the injuries suffered by the plaintiff. This involves proof that the accident would not have occurred “but for” the defendant’s careless actions and that the harm caused was a reasonably foreseeable result of the defendant’s conduct. Even if the plaintiff partially caused the accident, he or she may still be awarded damages that are proportionate to the defendant’s percentage of fault, if the plaintiff was not more than 50 percent responsible. Compensatory damages that are typically available in personal injury cases may cover both economic and non-economic forms of harm. General damages are comprised of pain and suffering, lost enjoyment of life, lost earning capacity, and other factors that are relatively subjective. By contrast, special damages are designed to compensate you for medical bills, physical therapy, and other items that are more easily quantified. In some of the most tragic cases, an accident can result in a needless loss of life. When this happens, the family members of the victim can bring a wrongful death claim to seek damages on their loved one’s behalf, as well as damages based on the harm that their loved one’s death caused them. Forms of compensation may range from burial expenses and the victim’s conscious pain and suffering before death to the loss of comfort, care, companionship, and guidance endured by the family. Since 1914, the law firm of Normandin, Cheney & O'Neil has been committed to guiding accident victims through the legal process with diligence and skill. 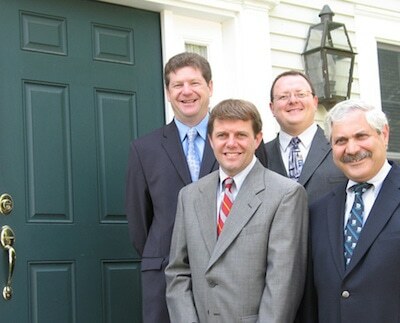 Our New Hampshire injury attorneys serve people in Belknap, Grafton, Carroll, and Merrimack Counties, as well as other areas of the state. To schedule a consultation with a personal injury or wrongful death attorney, call Normandin, Cheney & O'Neil at (603) 524-4380 or contact us online.